Problems with eating can happen at any age. It is a misconception that eating disorders only occur for teenagers and young women. In my practice, I certainly have many younger people who come to see me, but I also have many older ladies, boys and men. Many of my clients are prompted to come to se me because they are worried about fertility and bone health. Many have experienced professional help before but have not found it helpful. Each of my clients is different. ‘Normal eating’?? If you feel that food rules your life, and is all you can think about, I can help. It can be very hard to know what you should do when you are overwhelmed by your own thoughts, information on the internet, and opinions or comments from others. You probably know that your eating habits may be physically and psychologically damaging. I listen to what you have to say. As well as the identifying the very ‘clinical nutrition’ issues such nutrient deficiencies, I can give you my honest opinion on your eating, put things in to perspective, and we can talk about how you might be able to slowly build a healthier relationship with food. When you are ready, we can come up with little ways to start to incorporate more ‘normal’ eating behaviours in to your everyday life. No pressure. No overwhelming diet plans. No judgement. Here is a wonderful post from a recovering anorexic called Hannah. Digestion issues It is very common to experience bloating, tummy pain, constipation/diarrhoea caused be restrictive eating. These symptoms can be very distressing when you are trying to ‘get better’. 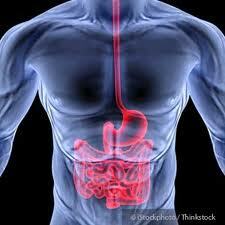 You get these digestion problems because the lack of food affects how your gut functions. If this is something that affects you, we can take this in to account at your consultation. The number of appointments you want is completely up to you. Between appointments I offer email and text support.